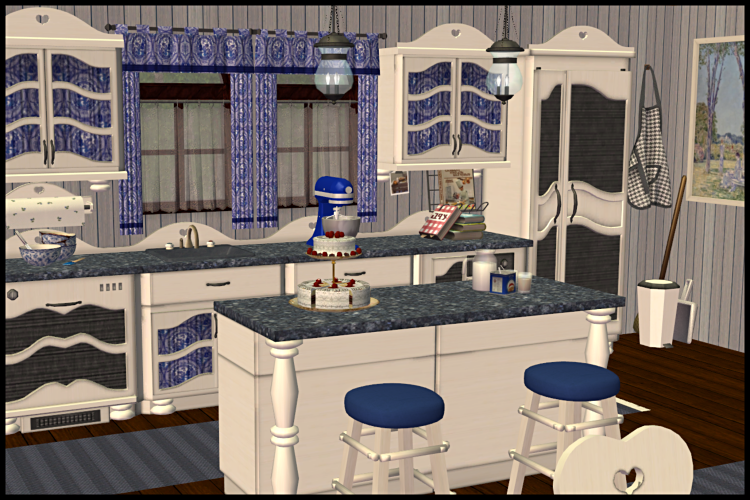 I needed some more usable recolors of the Wood for Sims Bavaria Kitchen now that I've slaved it (original post under Holiday), so here it is in white with blue. 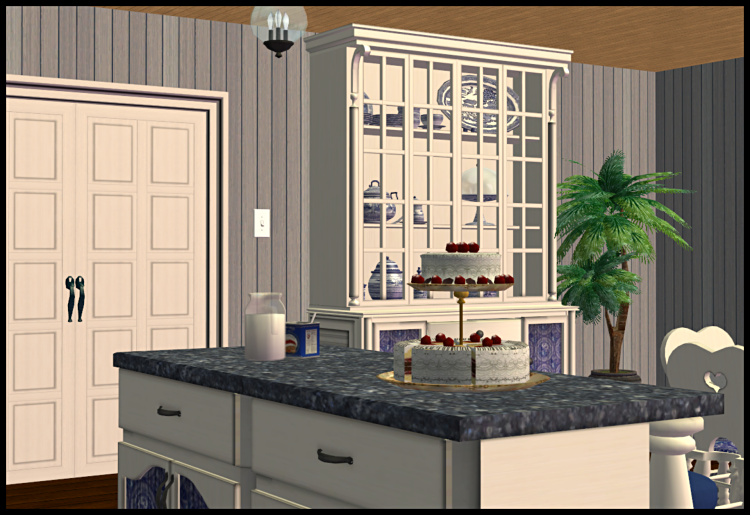 I added a matching recolor of VitaSims Cottage Kitchen Buffet. 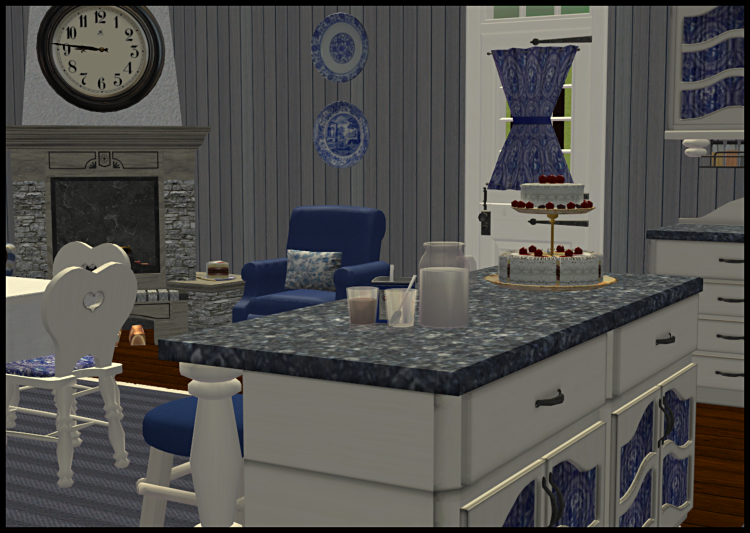 I've used a lot of deco in these screenshots but I know where it all comes from, so if you want something just ask. I love this. It came out beatiful! !